...i've checked their tour dates and if i could i'd follow them across the country! 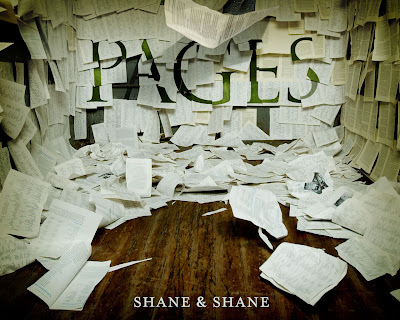 The new Shane & Shane album, Pages, was released today. I've been waiting several months for this and I can't remember the last time I was even aware of an album release date! You've got to check it out. I've heard that the track We Love You Jesus has already gotten lots of radio time...hopefully that hasn't killed the song already. I've been able to hear that and Embracing Accusation live. If you listen to nothing else on the album you've got to hear that song...it wrecked me when I heard it performed at Granger last fall. That, by the way, was my first introduction to these two. look who we found in Wrightsville Beach! !